If you are uncontrollably wealthy, skip this first paragraph, for you may not understand our line of thinking. The Spokane Whiskey Club is made up of working individuals, slaying the dragon daily only to come home to bills and exhaustion. When we meet together to conduct a monthly meeting, yes, we taste and review whiskies and enjoy the revelry and debauchery that comes with it, but after EVERY bottle we ask two questions: is the whiskey worth the price and would you buy it again. Picky or not, we not always agree with the price tag (shocked, you must be). On a limited budget, we have to be very selective about what we buy. We don’t want to waste money, and we are also not a charity. If you ask us to buy a $60.00 bottle of 2 year old “premium spirit” from WhateverTheHell Distillery, then brother, that puts you on the fighting side of us. That’s why we are so fired up about value buys. You can imagine our relief when Heritage Distilling Company explained their pricing structure of the Elk Rider Series. To quote Justin Stiefel, Head Distiller (and about 4 other titles), “our whiskies are designed to be under $30.00 retail. It is important to us that people feel like they got a good deal when they pick up a bottle of our product. As new entrants to legal commercial distilling in the last couple of years it is hard to ask a consumer to spend $45 or more on a new whiskey they have never tried in a retail store.” If you think their stuff is made too cheaply, and quality is affected, think again. HDC is 2014’s most awarded craft distillery in the US by the American Distilling Institute. However you spin it, it seems to be working out for them. HDC will be opening 3 new locations in the next year with a 2nd tasting room in Gig Harbor, a distillery and tasting room in Roslyn, WA, and a full production facility in Eugene, OR. I guess it pays when you respect your customer’s wallet. Nose- Honey, sweet melon and a candied sweetness right away. Develops flowery notes, corn aromas with a sweet tea feel. Reminiscent of a light, mellow Scotch with honeyed tones. Taste-Warming, candy corn sweetness then a dry, grassy affair. Finish- Medium length. Light oak with a bit of rye sweetness. Fading. 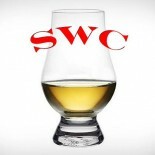 Comments- We call these types of whiskies “simple sippers.” Would function well alone in a glass or as a mixer. A pleasing simplicity to the flavors with surprising balance. Performed above expectations. Very impressed with this little Gig Harbor group. Carry on. Disclaimer – HDC provided a random, un-altered bottle from their production warehouse for this review. Our thanks to Hannah H for the opportunity. Your business and brand intrigues us! We are The Lincoln Park Young Professionals, The Lincoln Park Social Productions & The Billionaire Lifestyle Events of Chicago! These are special events marketing companies that host a variety of monthly events such as wine, martini, craft beer, bourbon, scotch, whiskey & champagne tastings, restaurant openings, black ties, scavenger hunts, fashion shows, boat cruises, adventure trips, sporting events, fine dining, concerts, cooking demos, boutique openings, new car test drives, and great networking events around Chicago. We host fun unique events at premiere Chicago venues, The Peninsula Hotel, Bentley/Lamborghini Gold Coast, The Blackstone Hotel, Chicago Cultural Center, The University Club, Chicago Yacht Club, The Field Museum, The Columbia Yacht Club, Broadway In Chicago, Hard Rock Hotel, The Drake Hotel, Bloomingdale’s. Nordstrom, Brooks Brothers, Chanel, Tiffany’s, Whole Foods, Banana Republic, Chicago Water Tower and more…. Our Sponsors have enjoyed direct access to the LPYP clientele. Our unique business model hits the key 25-45 year Chicago young professional, primarily single, social, community minded, high disposable income and eager to network with other professionals. We market via our 100,000+ email databases, direct mail programs, print, magazine, radio, PR and concierge contacts in Chicago. Where can I send a media kit with customized sponsorship info for your company? Let me know if your company is interested in Sponsorship/Sampling/Selling Tables. We are always looking for new venues and brands to host our monthly events! We connect products and services with the young professional market in fantastic Chicago social settings. Several of our last events had over 650 guests in attendance and 50 sampling tables. Join the fun! Join the Success! We would be happy to sign up for a booth. Our only condition is that we do this without any pants. Deal?